I just signed a lease on a 2-bedroom apartment in North Bondi, a quick 5 minute walk from the world-renowned Bondi Beach. And while it’s completely a pinch-me-I’m-dreaming kind of situation, the process of actually finding a place to live in Bondi Beach and surrounds was nothing short of a nightmare. 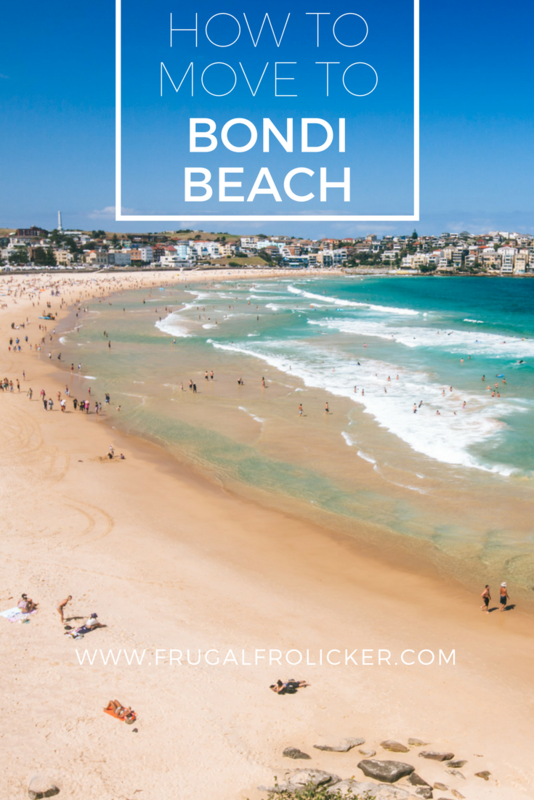 So I thought I’d share a few things I learned, in hopes that it will better prepare you for the hellish ordeal that is house hunting in Bondi! Mistake numero uno: thinking I could waltz into Bondi in the middle of summer and snag myself a place to live at the snap of a finger. Well, maybe not that easily, but I certainly did not anticipate how challenging it would be. But I mean, let’s think about it for a second: Bondi Beach is one of the most popular suburbs in Sydney. 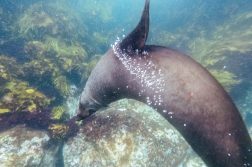 During summer, it swells with both residents and visitors who flock to its gorgeous beach. Summer is the literal worst time to be looking for a flat or room in Bondi Beach because everyone wants to be here. Demand is high, supply is low, rent is jacked up appropriately. But if you have little flexibility in when you can move and simply must do your house hunting in summer, prepare for the worst and be both patient and persistent. Everyone wants to be in Bondi. 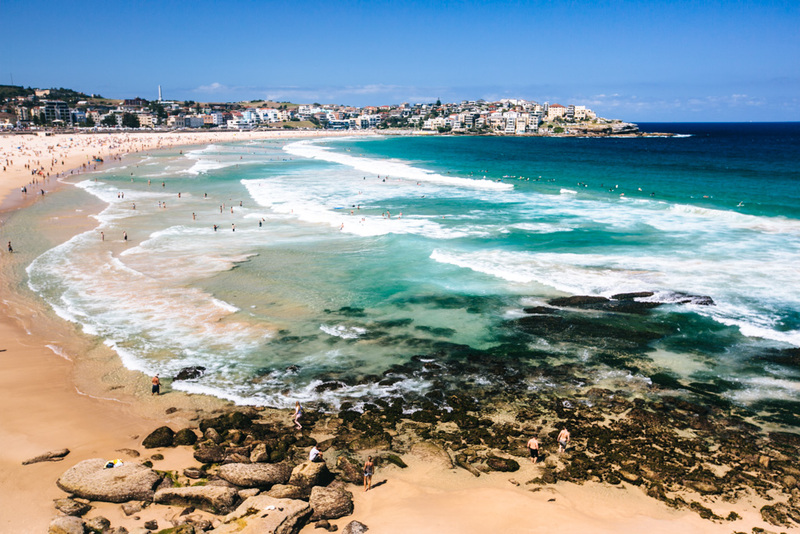 Bondi Beach is considered the heart of Bondi and is where most of the action (shops, restaurants, bars) is – and it’s also noisy, busy, and expensive. But if you look at the surrounding suburbs, you might be able to find flats that are a bit cheaper and have less people applying to live in them. 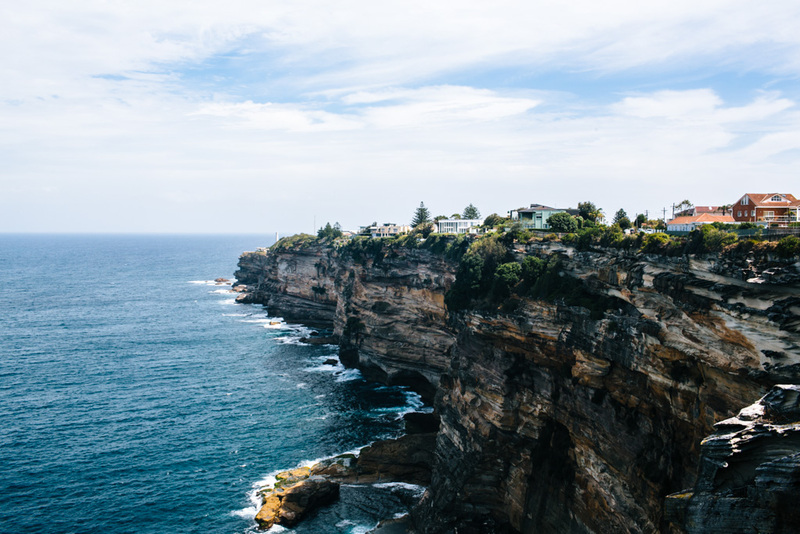 Rather than Bondi Beach proper, consider Bondi, North Bondi, and even Bellevue Hill (just inland from Bondi Beach but closer to Bondi Junction, making it easier for commuting purposes). All of these are super close to Bondi Beach while being slightly removed from the chaos there, which in my opinion makes them more desirable to live in. The easiest thing to do is find an open room that people are looking to fill. Easy in theory, anyway, because all you have to do is move in with your clothes as the flat will already be furnished. Often the open bedroom will be furnished as well, with either just a bed or perhaps a dresser or wardrobe too. If not, you’ll need to source your own furniture. If you’re on a major budget, you can look for a shared room. This basically equates to several backpackers cramming themselves into one flat in order to save money. Technically, you’re not really supposed to do this – the lease terms will typically state how many people are allowed to reside in the flat at one time – but people do anyway. I dedicated two whole weeks to searching for a room in Bondi to move into and got absolutely nowhere, I’m sure in part because it was mid-summer. But also, almost everyone looking to live in Bondi goes this route. Why? Well, Bondi is mostly populated by foreigners. It’s a backpacker hotspot and an expat mecca. 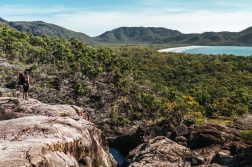 Many of these folks come to Australia without full-time work lined up, which makes it virtually impossible to get approved for a lease as they almost always require proof of employment. So their only option is to find a room to move into, in a house whose other occupants are already on the lease. There are two main Facebook groups aspiring Bondi residents use to find housing: Bondi Local Loop and Eastern Suburbs Housemates. Every day there are several new posts advertising available rooms. If you see one you like, send a message to the poster and tell them a bit about yourself and what you’re looking for. It’s also a good idea to reply to the post with a quick note so the person who wrote it knows to check their messages on Facebook. If they like what they see, they’ll normally ask you to come check out the room and meet the housemates. It’s like a meet and greet, or if you want to make it sound scary: an interview. I had mostly no luck responding to Facebook ads. The majority of my messages went unread, even when I sent them within minutes of the post going live (I was later told by someone that she’d gotten hundreds of messages, so I suppose people get pretty inundated and don’t look past the first handful of them). I finally had a few responses after the fact, but by that point I was already committed to signing a lease on my own place (see section below). So… I’m not really well equipped to give advice on how to make this work for you, particularly if you are a gainfully employed foreigner looking for a long term living situation. At least half of the posts seem to be for short-term sublets, so if you’re looking for something temporary, you might find it on Facebook. Lots of people like you and me will post about needing a room and kindly ask for the masses to “let them know” if they hear of any open rooms that might be a good fit. Almost no one replies to them because duh, we all need rooms. Don’t be that guy. If you’re in need of furnishings for your new home, these groups are gold. I’d say there are nearly as many for-sale posts as there are for-rent posts. We scored a fridge for $20, every kitchen thing we could possibly need, and a couch and TV, and some plants – all from Facebook posts. I had a much better success rate using various websites to find available rooms in or around Bondi. And by success, I mean making it to the point where I was invited to come look at the room. Gumtree is like Australia’s version of Craigslist, which means you can use it to find pretty much anything, rooms included. Lots of ads, lots of variety, but a bit of a crapshoot in terms of whether you’ll ever get a response back. In the end, I used Gumtree more for sourcing furniture and got almost zero replies to my messages. Flatmate Finders and Flatmates.com.au are two popular subscription-based websites used to advertise and source rooms for rent. Just by nature of having to create a profile and possibly pay to join (as the free memberships are pretty limited), it creates a filter for higher quality posts and a higher response rate. I joined Flatmates.com.au and found that it didn’t have many new ads going up each day, which meant there weren’t many options for me that met my loose criteria. I then turned to their “Team Up” section, where you can message likeminded folks looking to team up to find a new home and sign a lease together. I found that people were taking their sweet time with house hunting and weren’t as eager as I was to find a place as soon as humanly possible, so I quickly got frustrated and turned to other avenues. This option is more time intensive and costly, but I think it’s the best way to find a place to live in Bondi Beach if you’re looking to live here for at least a year. If you can provide proof of employment, getting a lease could be a viable option for you. Unless you want to live alone, you could either find someone to team up with via the sites and groups I mentioned above, move in with a friend or two, or find a multi-bedroom flat on your own and rent out the extra room(s). Given the demand for rooms in Bondi Beach, you shouldn’t have any problems with the latter option. In fact, a lot of people do this and then hike up the price of the room for rent – cheeky! 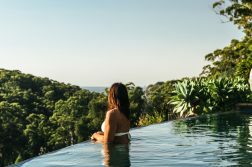 The go-to real estate websites here in Australia (not just in Bondi) are Domain and realestate.com.au. Both sites also have apps you can download on your phone for easy browsing. You can specify all sorts of parameters when searching for flats to lease, including location, price, and number of bedrooms and bathrooms. View the results on a map so that you can see exactly where the flats are. 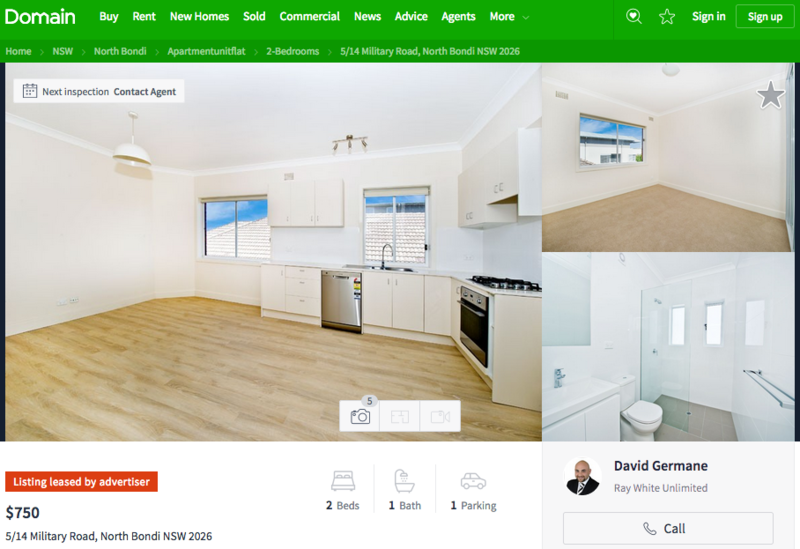 Our brand new flat in North Bondi! Each listing will either have an upcoming inspection time noted, or you can request more information from the real estate agent and they will e-mail you when they schedule the next inspection. They don’t seem to be willing to schedule appointments for individual flat viewings, so it’s very important that you make the time to attend an inspection. Inspections are designated 15-20 minute windows where a flat is open for public viewing, no appointments necessary. Annoyingly, nearly all of them tend to be jam-packed into a Saturday morning. You might find a few that get scheduled on a weeknight, but for the most part you’ll be giving up half of a weekend day to run around the neighborhood. It gets tricky when you have such a small window of time to view a flat and then need to make it to the next inspection on the complete other side of the suburb. I’d highly recommend looking at all your options on a map and seeing what makes logistical sense as you plan out your manic Saturday morning. Once you’ve viewed some flats and have decided on one (or several) that you’d be happy to live in, send in your applications as soon as possible. 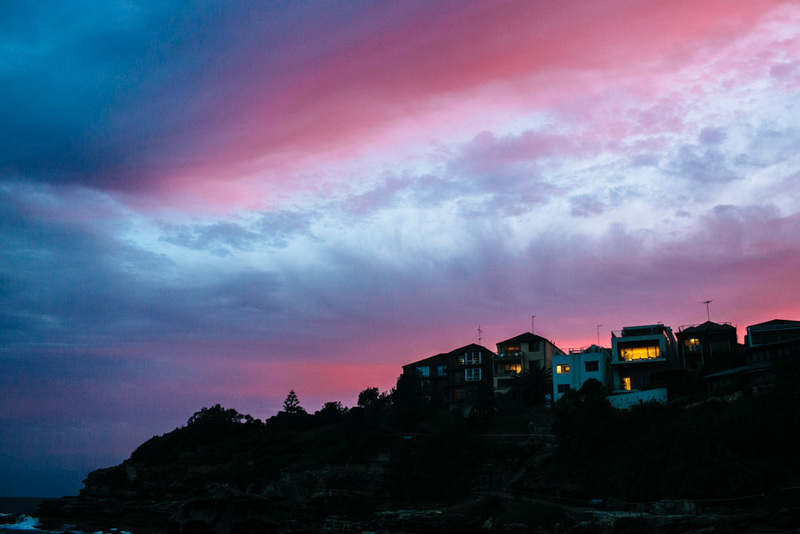 Competition in Bondi is steep, especially in summer, so you’ll want to get your application in the real estate office’s hands before everyone else does. In most cases, you can submit your applications online via the websites mentioned above. All your information saves after you fill it out the first time, which makes it super quick to apply for other flats. The application asks for standard information as well as proof of past Australian tenancy and both personal and work references. In addition to filling out the form itself, you’ll need to attach documentation including identification (passport and drivers license), proof of employment (either a letter of employment, or recent pay slips), and bank account statements. How I Did It: I applied (and got approved) for a two-bedroom flat in North Bondi with another girl. Both of us provided letters of employment stating our start date, hourly rate, and number of hours worked per week, signed by our employers. As a freelancer, I just provided one letter from my employer providing my main source of income (part-time at around 20 hrs/wk) as well as a copy of a 1099 tax form from a US client I had last year to prove that I’d earned a sizable chunk of money on another freelance project. My flatmate provided a letter from her full-time nannying job that she had just started. Both of us earn about the same amount per week, which is typically a bit less than what one would earn at a full-time salaried office job. Neither of us had proof of past tenancy in Australia, as both of us are from overseas. I also wrote a cover letter to explain my freelancing setup and the fact that I was waiting on permanent residency, both of which I hoped would make them perceive me as a more serious tenant. I explained why I had no proof of past tenancy in Australia, too. The real estate agent called my work reference the morning after we applied to verify my employment, then called me a couple hours later to offer us the flat. We were able to sign the lease and get the keys to move in two days later. There’s no guarantee that you will be offered a flat that you’ve applied for, BUT there are a few things you can do to increase your chances. One real estate agent I talked to told me, point blank, that when he sorts through applications, he looks at those with the longer lease durations and earliest move-in date first. On your application you can specify your desired lease length (usually 6 or 12 months) and lease start date – these are negotiable, not givens. I’ve also heard of applicants proposing to pay more than the stated rent, and then agents contacting other more appealing applicants to see if they’d be willing to match it. So if you have your heart set on a particular flat and are willing to pay a bit more to secure it, that could tip the cards in your favor. Lastly, though I have no anecdotal evidence to support this, I suspect that having a stable (high) salaried job and proof of tenancy will also make you a more desirable applicant. 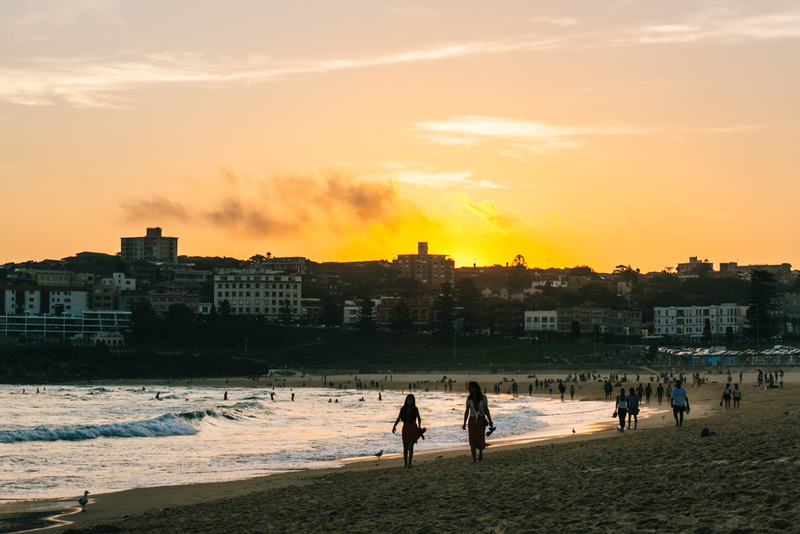 What other questions or tips do you have for finding a place to live in Bondi? Previous ArticleWho Knew Tulum Had Street Art? Next Article Flying Over Kauai – My First Time In A Helicopter!